In January 2004, an executive at ABC gave the green light to a two-part pilot that would cost between $10 to $14 million dollars. The exorbitant cost was a record for the struggling network and the move cost the executive his job. The pilot, however, continued on and became an instant hit. The show was watched by an average of 16 million viewers per episode in it’s rookie season and won several industry awards including an Emmy. If you’re one of the few people that haven’t seen the show, an international flight crash lands on a tropical island and miraculously most of passengers survive. The show then follows the survivors as they realize not only does the island contain several mysteries, but they’re also not alone. Think of it as a modern day Gilligan’s Island with a supernatural twist. Needless to say, the survivors aren’t video blogging their experience, and the computers on the island only seem to be there to cause problems for the inhabitants. So, what could the show possibly teach us about blogging? Believe it or not, I’ve found 7 lessons all bloggers should learn from the hit TV show, Lost. 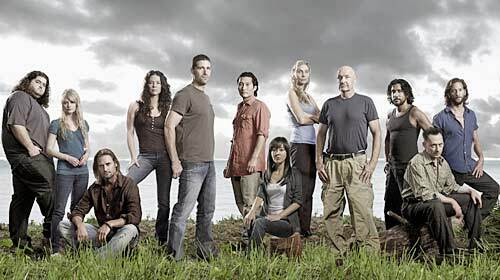 Early on in the show, the survivors of Oceanic flight 815 dubbed the island’s inhabitants the “Others.” This certainly wasn’t a term of endearment, but you can hardly blame the survivors. The “Others” had kidnapped several survivors, stolen kids away from their parents, and nearly killed Charlie. In later seasons the “others” abduct Jack, Kate, and Sawyer and are pretty much a thorn in the survivors’ sides the entire time. Needless to say, the survivors are constantly on the lookout for these mysterious “others” and try to gain as much information about them as possible. Hopefully your relationships with other bloggers in your niche are much less adversarial than the one between the survivors and the “Others” but that doesn’t mean you can’t still learn from their example. Whenever possible, examine what other bloggers, especially those having success, are doing and determine whether you could or should do something similar. Brian Clark of Copyblogger recently commented that “the people I see getting the most out of Copyblogger watch what we do as much as what we say.” While his remark was specifically about Copyblogger, the principle holds true for any other successful blog out there. Don’t just read their content, watch and dissect their actions, and use that knowledge to further your own blog’s success. credit: Nina ScalettiOne of our first glimpses into the world of the “others” centers around the moment of the plane crash. People gather outside and immediately Ben orders Ethan and Goodwin to infiltrate the two groups of survivors and explains that he “wants lists in two days.” In another episode, the resilient Russian, Mikhail tells Kate that she’s “not on the list because [she’s] flawed.” In the most recent episode we’re shown an argument between Ben and Juliet during which Ben makes the following statement “They’re on the list Juliet. Who are we to question who’s on the list and who’s not?” Basically, everything the “Others” do is guided by some mysterious list. There is a lot of debate as to what the list means, who’s on it, and who created it, but there’s no doubt that it is a central thread in the show’s mystery. While we, as bloggers, aren’t going to be abducting people, that doesn’t mean lists are any less important to us. You’ve often heard me use the term linkbait but for those of you unfamiliar with the word, it basically refers to anything designed to attract links to your site. Cartoons, controversial posts, tools, and even blog themes can be examples of linkbait but the tactic used most frequently is, you guessed it, a list. Just think about how many times you’ve seen headlines like Top 10 Ways, Top 10 Reasons Why, Top 100, 7 Tricks, 5 Hacks, etc, etc? Experts such as Seth Godin and Darren Rowse both suggest using lists when linkbaiting. 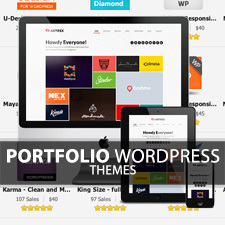 Copyblogger has written several posts extolling the virtues of the list. The bottom line is that lists are all over the place in the online world and for good reason, they work. Whether you need help overcoming blogger’s block, breaking through in the social media scene, or simply want to make your content easier to digest, a list is often your best bet. Jacob would be so proud. Similar to the Sopranos, I was a little late boarding the Lost bandwagon. The show was half way into its second season when I discovered the show so to catch up, I purchased the first season on DVD. I was warned that I shouldn’t start watching it until I had pretty much an entire weekend free since once it got going, you couldn’t help yourself and would probably end up staying up all night or call off work just so you could watch the next episode. Luckily for me I was doing freelance SEO work at the time because, just like I was warned, I blew through the entire first season over the course of about two days. Since then, whenever I introduce someone to the show, I give them the exact same warning. Don’t start watching unless you have some serious free time on your hands, because you won’t be able to get enough. Once you run out of past episodes and catch up to the current season, you’ll be stuck like the rest of us waiting desperately for next week’s show. The reason Lost had that effect on me, and just about every other person that watches it, is that they always leave you wanting more. So how do we, as bloggers, accomplish this? First and foremost, create content people enjoy. If people don’t enjoy what they see or read, they won’t be back. On the flip side, great content can almost single handedly create the “wanting more” effect in your readers. Take a look at the attention video game reviewer Ben “Yahtzee” Croshaw (widely known for his Zero Punctuation game reviews) has garnered. Another great example would be perhaps my favorite author, Mil Millington. He leveraged his site Things My Girlfriend and I Have Argued About into a widely successful book deal (which has subsequently turned into at least two other books). Readers beg for more simply because both men have created fantastic content. Update: LOST: Lessons on Blogging Part Deux is now live. Another great ‘lessons on blogging’ post. Lost is by far my favorite show. Can’t wait to see what your next post will have. As long as you don’t take a 3 month break between posts like the series does. Lost is one of my favorite shows, although I must say that it falls behind Prison Break. Some good ideas here. 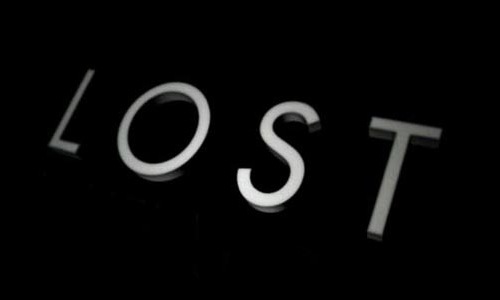 I find though, that some of the things that make lost so successful are the things which annoy me the most about the show. For example, “Leave them wanting more” could be changed to “Leave them not knowing what the want or why they watch the show in the first place”. I’m not sure if any of you know, the but the puzzles are actually part of the official Lost ARG campaign and not just random blogger puzzles. There are many clues in the episodes which can be taken online and solved as a community on argn.com(where most of these things take place). Very cool stuff, I’ve linked an introduction to ARGs to this comment. @bryan, I do most of my writing in the evenings. If I had my way, I’d write in the mornings but unfortunately, I still have to work so the evenings while I’m watching TV is usually the best shot I get. @Nick, yeah, the ARG’s are pretty interesting and they definitely take understanding of the plot to a deeper level. And, i would agree, I hate that the show keeps me hanging on every word so much. It’s the only show on TV that I watch live these days (I DVR the rest). However, I would argue that even if it’s a bit frustrating, keeping people wanting more is a good practice. For example, Problogger started a series today that I am dying to read but unfortunately, I have to wait until tomorrow to read it. Would I rather read it all in one sitting? Absolutely. But I can tell you I definitely won’t miss tomorrow’s post either. That’s the state of mind you want your readers to be in. Nice tie in, reading about a show I watch and I learned something! This season has been a lot better, well since they came back from the strike. @cuzzy, glad you liked the article. I agree this season has been good although I’m pretty sure we’ve not yet gotten to episodes that were written post Writers Strike. Interesting slant on Lost and blogging. I used to work on the series and got to see a lot of the behind the scene tricks. They only shot 8 episodes before they went on strike. They just started filming the rest of the season again today. Lost is a very popular show and good job on working it into a informative and entertaining blog post. I’ve have come across quite a few blog posts on Lost recently on totally unrelated blogs. I guess some understand how popular it is that they believe their readers will be interested in a post about “Lost”. You did a great job tying it in with your blog. Funny – I am a fan of the two thing mentioned in this article (blogging and Lost).